Most observers have an image of preppers as living in a remote area with water, freeze-dried food (enough to last for several years), guns, ammo, gold, silver and some artisanal skills. They also have an image of bitcoin boosters as young, tech-savvy and fully-invested in a future that is onward, upward and more digital by the day. This article stands those images on their head. The article covers a trend among preppers to dump gold coins and load up on bitcoins in preparation for the unspecified apocalypse that awaits. The article is interesting, but it says more about muddled libertarian thinking than it does about the best way to prepare for civilizational chaos. The kind of crisis the preppers are preparing for is unlikely to have a functioning power grid, something the author points out repeatedly. Without power bitcoin is worthless. The preppers say, “No worries!” While the power grid may be out for months or years, it will eventually be restored and their bitcoin will be waiting for them in the cloud of a newly formed libertarian nirvana. That’s nonsense. If and when the power comes back on, history says it will be restored through martial law and neo-fascism; not exactly what the libertarians had in mind. 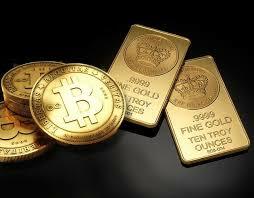 The preppers also say that an ounce of gold is impractical for small transactions. Of course it is; that’s a reason to have silver right next to your gold. The gold preserves long-term wealth, and the silver serves for daily transactions. That’s why gold and silver have always co-existed as forms of money. In the end, the preppers described in the article are probably just drawn in by the get-rich-quick mentality that seems to affect everyone chasing the bitcoin bubble. A libertarian gloss won’t save them in the end. Gold and silver will.